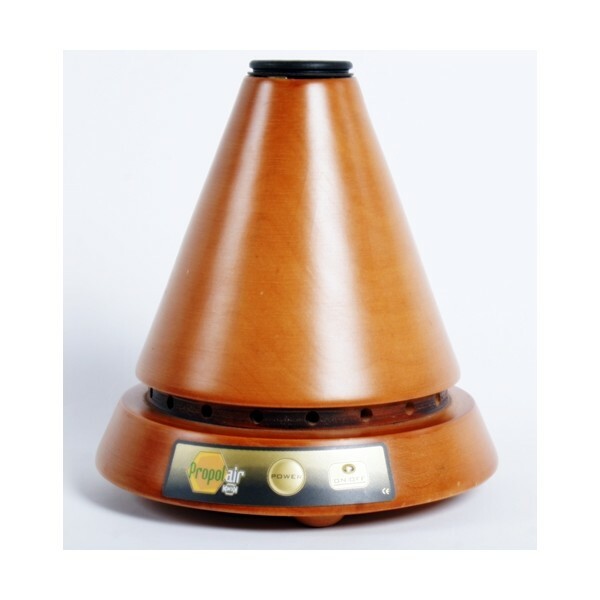 Model L2, with an esthetic-look and natural wooden cone, releases powerful, propolis bioflavanoids into the air. Combined with a built-in ionizer to sanitize and purify the air, 24/7, it can treat rooms up to 376 sq ft (35 m2). 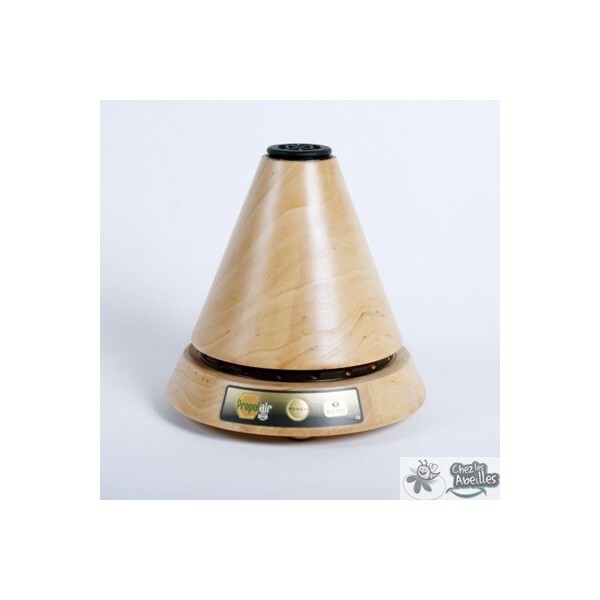 Green clean your home or office with our Propolis Vaporizer / Diffuser and send a multitude of microscopic bioflavonoids into the air, doing what they do best, killing bacteria and mold. This proven effect, conducted in preschools and nursery schools, worked as an all natural antibacterial, antiseptic, antifungal agent. 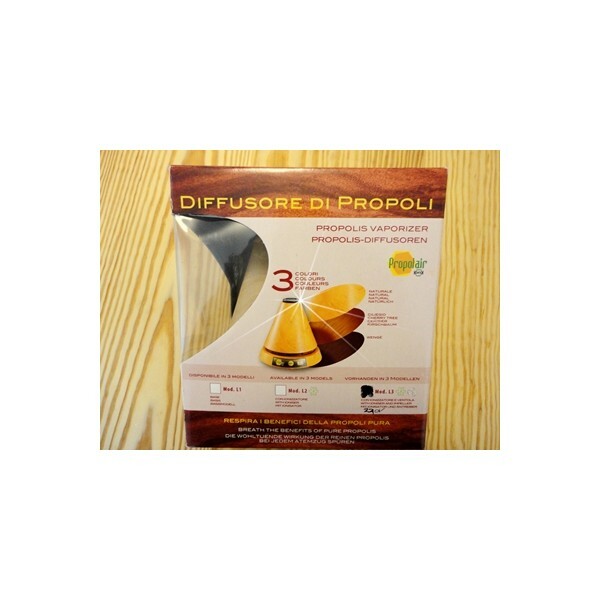 Our Model L2, with its conic shape, diffuses propolis bioflavonoids up to an area of 376 sq. ft. (35 square meters). 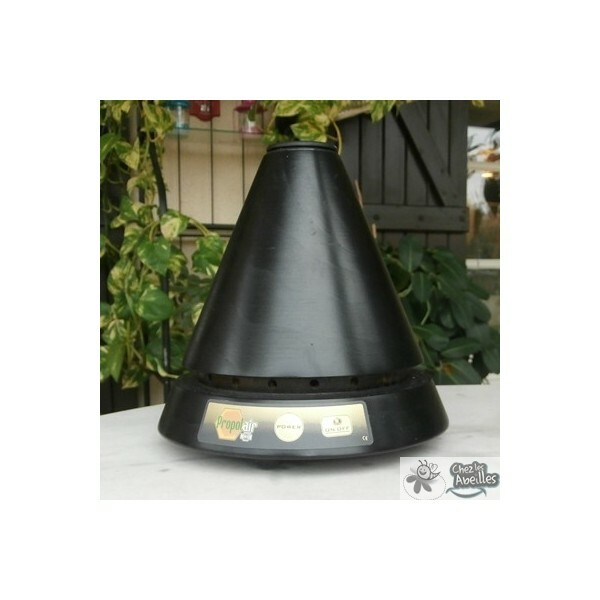 Ships with 2 capsules, each lasting 122hr or about 5 days of 24/7 usage. 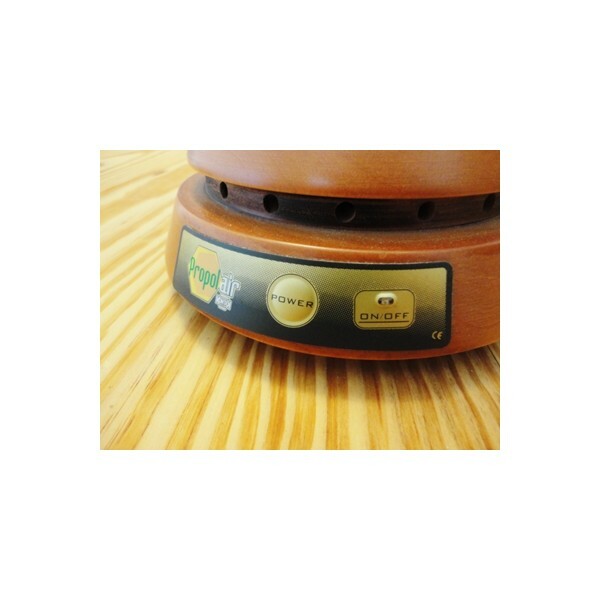 With the built-in ionizer, the negatively-charged particles of propolis rapidly adhere to surfaces, the nasal mucous membrane and to the volatile particles which have a damaging effect, such as tobacco smoke, house dust, viruses, bacteria and mites. 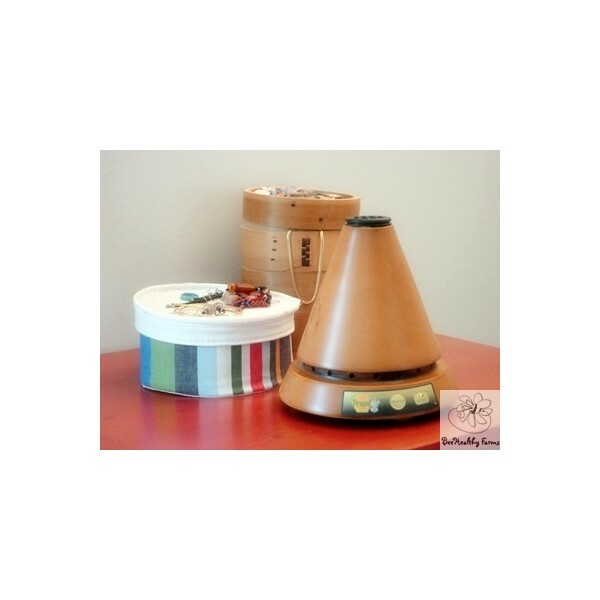 In numerous experiments conducted by the ASL of Collegno (Italy) a classroom showed that the molecules of propolis, thanks to their acknowledged antibacterial, antifungal and anti-inflammatory properties, inhibit bacterial and microbial presence. Diffusers were used for three days non-stop and the results showed an enormous 71.8% reduction of microbes in the air and a sanitization of the classroom! Click here for a copy of the day care center referral letter. 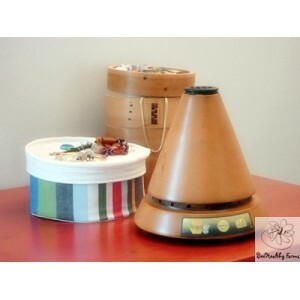 Click here for the latest research on propolis.